British Prime Minister Theresa May will demand that Brussels return £9 billion ($11 billion) of UK assets held by an EU bank as soon as she triggers Brexit negotiations, government sources said. The Sunday Times said its journalists saw a legal advice circulating in the government that states the UK not only has no legal responsibility to pay a penny for leaving the EU, but has the full right to demand a refund from the European Investment Bank (EIB). “The UK, on EU exit, is entitled to the return of its paid-up capital and indeed to a corresponding share of the accumulated reserves of the EIB,” the legal opinion, written by Martin Howe, a leading Tory barrister, says as quoted by The Sunday Times. May will communicate the British stance to the EU leadership after she triggers Article 50, authorizing the exit talks, government sources told the paper. The British contribution of £9 billion currently accounts for 16 percent of the European Investment Bank’s total funds. 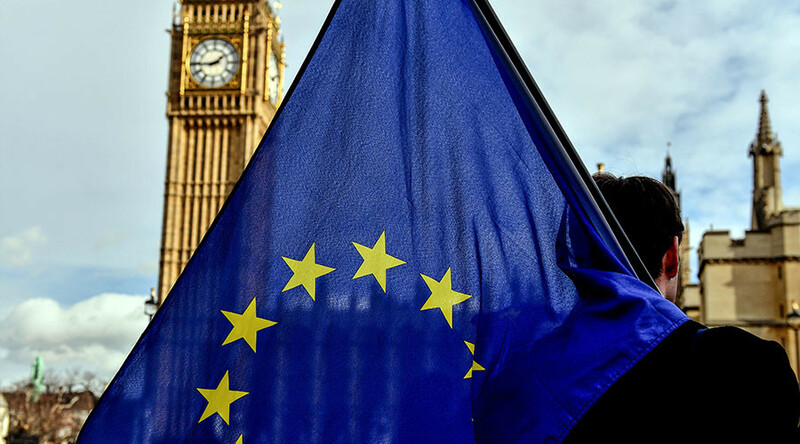 Brussels is reportedly demanding that the UK pay almost £50 billion ($61 billion) to terminate its membership of the European Union. May earlier promised that she would invoke Article 50 by March 31 if the bill was backed by the parliament. The Labour Party's Brexit spokesman, Keir Starmer, said that the exit talks may be triggered as early as Wednesday or Thursday. Britain's Brexit secretary, David Davis, also said that he expects the divorce papers to be filed next week. “However they voted in the referendum, the majority of people now want the prime minister to be able to get on with the job,” Davis said in a statement cited by AP. Davis and other cabinet ministers have been banned from leaving the UK by the ruling Conservative Party, which needs its full strength for the Article 50 bill debate in the parliament. The talks with Brussels are to last two years, with the Brexit secretary saying that if everything goes in accordance to government’s plan, the UK and Brussels will part by March 2019. As for the outcome of the negotiation, the Brexit secretary told the BBC that he didn’t consider it “remotely likely” that the UK and EU would be unable to reach a deal. However, he stressed that the British government is planning for “all the possible outcomes” of the negotiations. UK Foreign Secretary Boris Johnson told ITV that the “robust” British economy would be doing well even if the London and Brussels fail to reach a Brexit deal. “We would be perfectly OK if we weren't able to get an agreement, but we will. I don't think that the consequence of no deal will be as apocalyptic as some people pretend,” Johnson said. 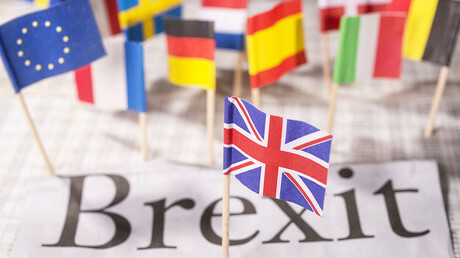 Earlier Sunday, the House of Commons Foreign Affairs Committee warned that the complexity of the talks and the short two-year time limit may lead to the failure of Brexit talks, which would have a devastating effect on British businesses.